Today’s Mah Birthday! 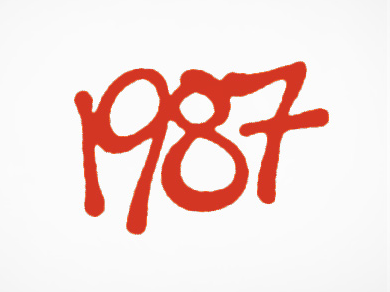 Watch Super Fun, Nostalgic Clips From Or Featuring 1987!! 1987 was the Year of the Rabbit in the Chinese New Year! Famous People Born on February 22 Too! 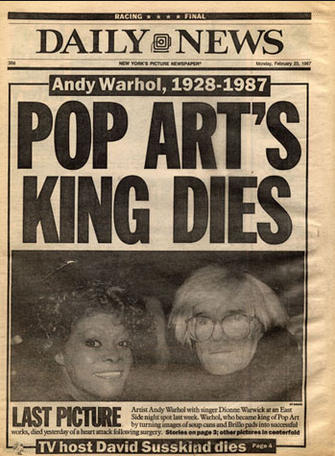 And pop art iconoclast Andy Warhol died on February 22, 1987 at approximately 5AM. The New York Daily News reported this on Monday, February 23, 1987. Famous films that were released in 1987: RoboCop, Dirty Dancing, Moonstruck, Beverly Hills II, Three Men and Baby, Lethal Weapon, and The Untouchables amongst others! The Simpsons premiered on the Tracey Ullman Show. Jody Watley won Best New Artist of 1987 at the 1988 Grammys, and her ’97 self-titled album was a huge hit! The rescue of “baby Jessica” in Midland, Texas on October 16, 1987. Jessica McClure was, born 1986, was 18-months when she accidentally fell into a well in her aunt’s backyard on October 14, 1987. It took 58 hours to rescue her as the story fascinated the U.S.
Next Next post: Why Do The Oscars Overlook Modern Black Films With Iconic Black Heroes?